“The recognition of the importance of context suggested that the unit of analysis for understanding learning had to be larger than the individual person” (Hoadley & Van Haneghan, 2011, p. 4). Through the learning sciences and as we decipher how people learn, we need to look at more than just the individual. Researchers conclude that isolating a person from their context and all the knowledge that they bring with them, is not a proper way to understand that learner (Hoadley & Van Haneghan, 2011). People may think a particular way because of their beliefs or past experiences. They may have specific values that mirror those of their culture and family. Ignoring those factors is ignoring the whole person. What causes a person to embrace learning experiences and alter their ways of being? Do we react to certain scenarios subconsciously? Illeris (2008) examines these questions by looking at how an individual’s context and previous experiences influence their responses to change. He states that, “through everyday consciousness we control our own learning and non-learning in a manner that seldom involves any direct positioning while simultaneously involving a massive defence of the already-acquired understandings and…our very identity” (p. 15). People put up these defensive barriers as a way to block change and ultimately learning from happening. Does this happen intentionally? I would argue no, but in order to evolve as a learner, I think we need to start questioning our own ways of thinking. What are we afraid of? We are afraid to fail. We are afraid of putting ourselves out into the unknown and not succeeding. Yet we consistently challenge our students and encourage them to embrace failure opportunities. We want our students to realize that failure is an opportunity for growth and that there is not only one correct way of doing things (Long, 2012). Why don’t we expect this for ourselves as well? During the last school year, my admin gave me an article called, Who Moved My Cheese, by Dr. Spencer Johnson. It offers an interesting approach to how people respond to change through the eyes of four different characters. While reading the story and trying to decide which character I aligned with, I was consistently thinking about why we struggle to adapt to change, and came up with this conclusion: The idea of change comes with the image of uncertainty and the unknown, and the biggest barrier to change exists within yourself. In our class discussion today, Dr. Friesen reiterated this point, in that these defence mechanisms that we put up in possible moments of growth and learning are a way to protect ourselves. They are the hardest to overcome because they are a part of our identity, but they are the places where transformational learning can occur. 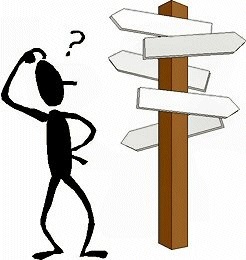 As I think about implementing some ideas of the learning sciences into my classroom in the fall, I become overwhelmed with uncertainty. There are numerous things to try and places for improvement in my own teaching. I want to be the best teacher I can, but I question whether I will be successful and the extent to which I can facilitate deeper learning in my students. Is this a defence mechanism I am putting up myself? While trying to think ways to overcome this barrier, I can only find one solution. Revert to what the research says: collaborate, find a community of practice, embrace failure, and be open for opportunities of learning to occur. Are Teachers Scared to Let Students Make Choices? This year I set the goal for myself to try to give more choice for my students within my classroom. I was feeling I was making decisions for students, in terms of their projects, seating plan, novel study, etc… and after reading numerous articles about the benefits of student choice in the classroom I decided to put to the test. As a teacher, it is shockingly hard to give over control and decision making processes to students. After all, my kids are nine years old, could they come up with various options that would encompass what I was looking for? I also think as teachers, we’ve been trained and “programmed” to be the ones in charge and be creative with the way we deliver and design our lessons. It’s scary to give a part of that over, and risk the chance to fail. Failure had always had a negative connotation in my mind, and it hasn’t been until the beginning of this year, where the ideologies surrounding that word have shifted for me as well. 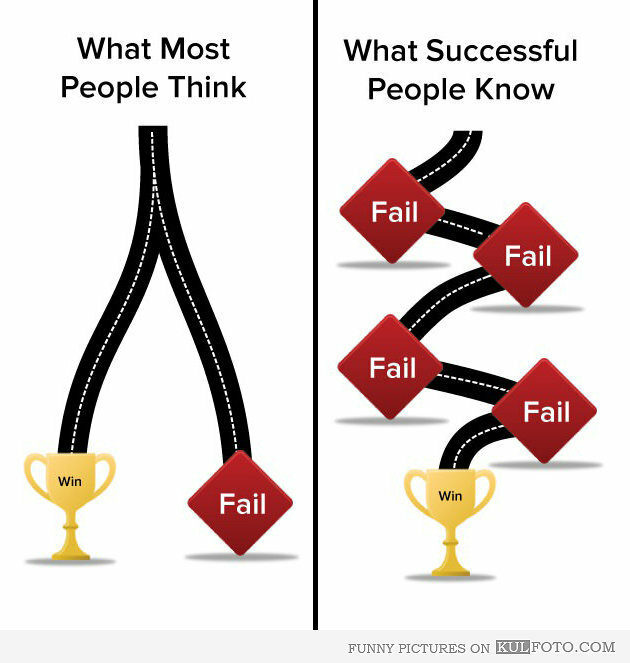 Through elaborate discussions with my PLN, I am now able to look at failure as an opportunity for growth: a way to reflect, develop an understanding, and improve and grow. Failure is no longer something I fear entirely, but instead my mindset is changing. I’m trying to instil that in my students as well. 1) Kids are WAY more creative than I am. When I told them you can show me what you learned about…in any way you’d like, it was incredible to see the differences in their approaches, but also how their personality shone in each one. They expressed themselves in ways I never even thought of. 2) They were engaged! When students have choice, they are 100% engaged in what they are doing! No ifs, ands, or buts about that. 3) They used each other for support and collaborated more frequently. When they had a question about how to use a device or how to do something, they would ask another classmate. They would seek out support, and share ideas with each other. 4) They took pride and ownership in the things they chose. They were generally excited about their work, and put effort into their assignments. There never was any moaning or groaning, but instead a buzzing of excitement. 5) They had fun, and generally appreciated the fact that they had a say in the decision making process. Within all the craziness of the last few weeks of school, I decided to let my students choose who would sit in their group. I know this isn’t a huge deal, but to my kids it was, and honestly I was a little concerned with some of their choices and the fact that school is almost done and they are wild enough already. After school a boy came up to me and said, “Thank you so much for letting me sit with my best friend.” I hadn’t really thought much about it, but to this boy, it clearly made a positive impact on him, and that’s what I’m always looking to do. I never imagined that something so small could be so appreciated. But it is always the little things. Those smalls things that make the difference and make learning better for students. Allowing students even just a little bit of choice can make all the difference in their lives. So what are you afraid of? According to the Merriam-Webster dictionary, failure is defined as “omission of occurrence or performance” and the “lack of success.” Failure happens when you don’t achieve a desired outcome. Failure is associated with negative words and connotations such as defeat, unsuccessful, ineffectiveness, and set backs. Why does failure have these negative views and how can we change this? 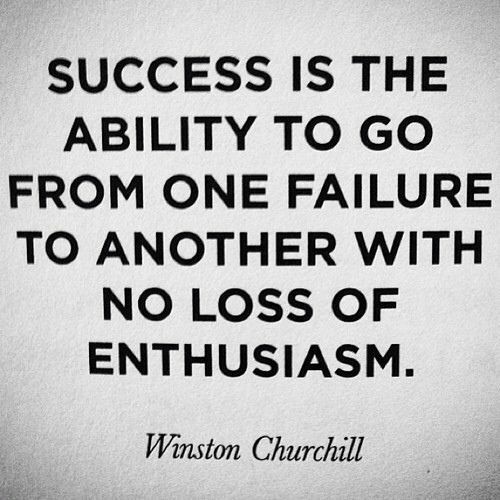 Everyone is subjected to failing and struggling, but it’s how you handle it that makes all the difference. Do you reflect upon what has happened to create the outcome? Do you learn from your mistakes? Do you use your set back as an opportunity for growth? Do you get up and try again? Question #1: What is the value of failure? Question #2: How can we encourage failure as a good thing and a part of the learning process? Question #3: What role does failure play in furthering mindset shifts in education? Question #4: How do you encourage that failure is okay? Question #5: How do failures in society, business and government affect change in your school/district? Question #6: What does ‘fail forward’ actually mean? 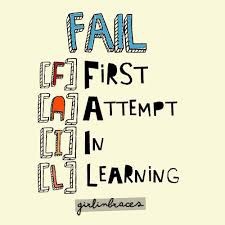 As educators we need to embrace moments of failure, model, and discuss them with our students and colleagues. We need to show people that it is okay to make mistakes, and look at these as opportunities for learning and growth. We need to encourage others to share their failures, reflect on them, and find ways to improve. We have to develop an understanding of the process and how to persevere. How can you change the negative mindset around failure and adapt a positive outlook to encourage your students to use failure as a starting point for greatness?